As the title indicates, the purpose of this documentary is to show how Europe rose from the ashes after WWII with the help of the United States. Similarly, its purpose is also to show what Europe currently faces, such as economic crises and the influx of migrants which resulted in the rise of extreme right-wing parties across the continent. Europe or the liberal ideals of the European integrationist project is now challenged by various factors. In this regard, the rise of new far-right populist movements in the continent is trying and of course eroding the fundamental principle of a united Europe. These new emerging far-right parties have an anti-immigration and anti-Brussels stance. 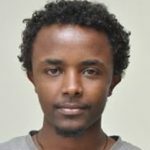 Al Jazeera’s documentary shows two contending phenomena in the continent: the unity of Europe and extreme nationalism. The documentary also presents how far-right movements became a challenge to mainstream politics, particularly in the areas of the EU and immigration entertaining views from historical and current events. After the devastation of WWII and the end of extreme nationalism, eg. Nazism, the Yalta Conference ensured the revival of Europe countering the Axis powers even if it is replaced by the communist regime from the East. Therefore, it resulted in the division of Europe into two—west liberal and East Communist. To counter the East and reconstruct Europe, the US had launched the Marshall Plan which laid the foundation for the European unity having a US upper hand. Europe became the battleground between liberal democracy and east communism, especially after the Warsaw Pact. Following this, the European Economic Community was experiencing an economic boom so it invited foreign or guest workers from Europe and outside. This is where far right-wing parties mushroomed because of xenophobia, racism and anti-Semitism which I don’t agree with. I do believe of course that Europe would never have been Europe without its colonies. The making of modern Europe is also based on the resources they have exploited from colonies so it is a payback. The documentary doesn’t also address and give due attention to migrants (from former colonies) whose countries built Europe. Anyhow, this sentiment gave a rise to the new far-right parties. Despite this, the number of EEC members increased, however, at the same time, it experienced economic crises because of the hike in oil prices (1973) which later resulted in the end of the Legal Emigration Programme. Therefore, the far right parties had taken advantage of the crises and workers’ grievances which were not addressed by the mainstream centrist parties. Jean-Marie Le Pen (father of Marine Le Pen) of the French National Front and Margaret Teacher‘s UK Conservative Party were among others. The collapse of the Soviet Union led to ethnic conflicts and upheaval in Eastern Europe and then the EEU, later the EU, brought the idea of incorporating Eastern European states into its framework and liberal democracy. The 1992 Maastricht Treaty laid the foundation of the EU bureaucratic intuition and state-like bureaucracy so the gap between governance and the governed became greater. Similarly, the absence of borders led to the loss of socio-cultural identity. Following the launching of the Euro currency, anti-EU sentiment (because of Islamophobia and racism) has grown in many countries to get their country out from “the monsters of Brussels.” They became existential threats to the EU and its unity and to the journey to liberal democracy. The other major topic of discussion in the documentary is Nigel Farage, the leader of the UK Independence Party (UKIP) and Leave EU Project, who paved the way for other far-right wings and movements in Europe after successfully leaving the EU. His success in Brexit invited other far right-wing parties in Europe such as Germany (AfD), France (National Front), Austria, Hungary, among others. The difference is that Farage’s movement includes non-white British people as well, unlike the previous far-right parties. Unexpectedly, the AfD of Germany for that matter won seats in parliament two months ago for the first time in the decade. Moreover, the reasons that gave rise of the far-right against the EU are the issue of migrants and the recent financial crises as the richer states bail out the poorer like Greece, Spain and Portugal, so the far-right took advantage of it. 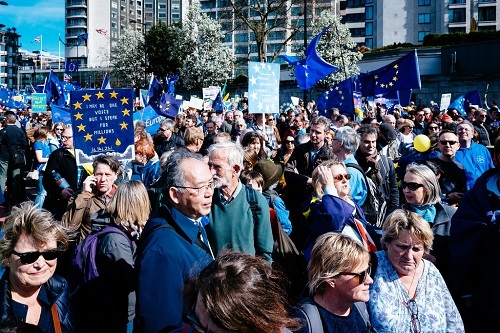 The aforementioned problems also serve as reasons for far-right parties (in some countries Neo-Nazism) to set the agenda as they believe the EU and the welcoming of migrants policy are the product and are forcefully implemented by the mainstream centrists, believing them issues that were not discussed with the people of Europe. Actually, their fear sometimes holds water because, according to the Pew Research Institute of 2017, Islam will constitute 10 percent of the total population of Europe in 2050. Normally, Islam is resistant to western culture, therefore, how will these two contending civilizations go together in the same land, so they will clash. Because of this confrontation, it can be said that multiculturalism has failed in Europe. These far-right parties recommend having a concentration camp for refugees and laws should become restrictive rather than imposing centrists’ unpopular policies. The other interesting topic in the documentary relates to Russia and the EU. The West, including the US, believes that the Kremlin opened up the champagne when Brexit occurred. Russia also forged relations and funded far-right parties like Le Pen’s party. In this regard, Le Pen admitted in 2016 that she requested money from the Russian State Bank for election campaign funds. This intervention may help Russia to reduce threats from the West like NATO. Moreover, Russia was successful in meddling in the US election, even if it rejected it. Turkey also turned its face to Russia (after apologizing for downing a Russian war jet in Syria allying with the West) as it is unhappy with the EU not accepting its membership request because of religious differences and the nature of Erdogan‘s authoritarian rule. All in all, Europe was remade by various factors but was also facing challenges which could break it into pieces. Therefore, its unity could be in danger.